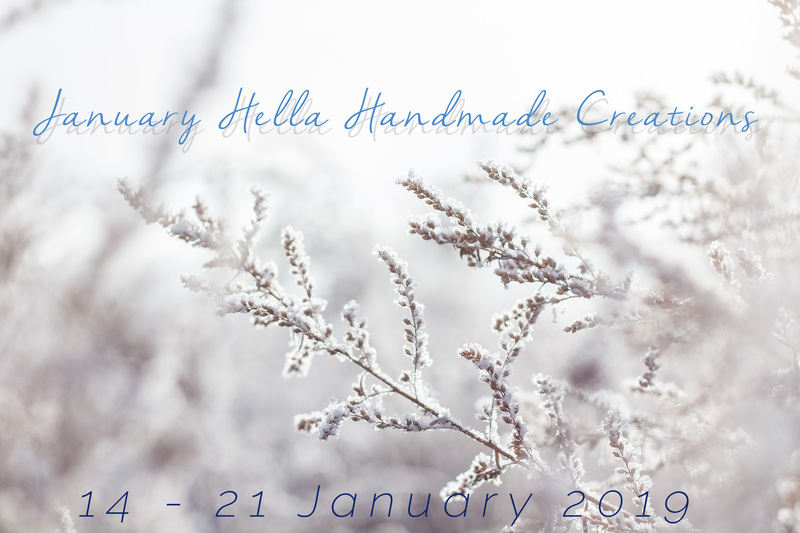 It’s time to grab some goodies from the January Hella Handmade Creations offerings. I’ll be showing you three fun polishes, two of which are temperature reactive. As usual, we’ll catch up on the HHC process then we can get to the pretties! Femme Fatale wrapped up their last series (Stranger Things) and have launched into Stephen King. Now, I’ve only read one Stephen King novel, The Outsider and watched a few of the adapted movies. That being said, it doesn’t take a knowledge or appreciation for King to enjoy this particular thermal. Sometimes Dead Is Better, (a quote from Pet Sematary) is a thermal polish that is pale turquoise when warm to a darkened forest green when cold. 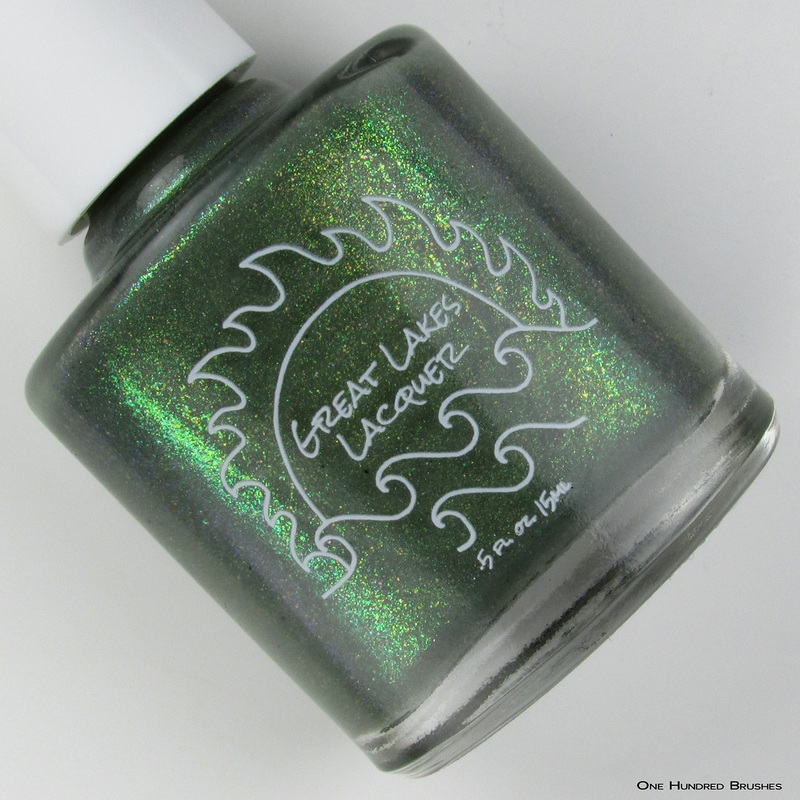 A green hue can be seen from the limited edition iridescent green-blue flake and the turquoise glitters. I love how the flakes in there take on the appearance of scales. Although there’s a bit of texture left after from the flakes, this is easily smoothed over with a good topcoat. I’m wearing three coats with a glossy topcoat. Mariah created this very pleasant thermal in expansion of her Lord of the Rings theme. The Way Is Shut, when cool is a soothing olive green which them warms to a subdued lime green. A gold to green to blue shift is brought on by the addition of aurora shimmer with added pops of color from a holographic pigment. 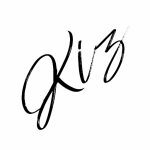 The formula here is really great and highly pigmented. Here, I’m wearing two coats with a glossy topcoat. Finally, Jill’s Game Day in Pink appears even brighter amongst the two green polishes here. 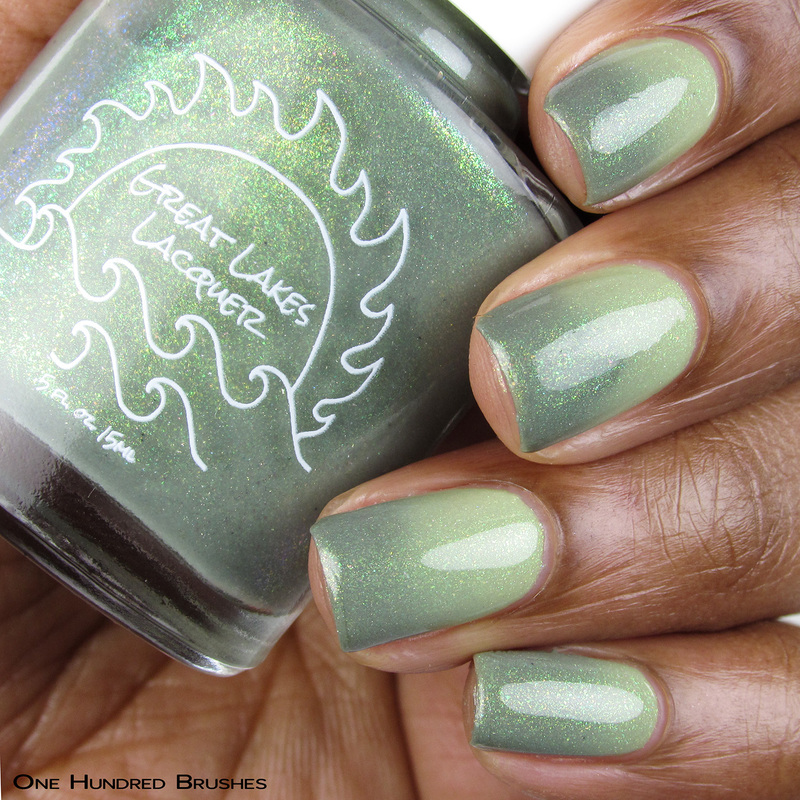 This polish is a continuation of her celebration of New Orlean. The base is a hot pink jelly filled with crystal flakes, original unicorn pee pigment and a glowing aurora shimmer. The polish is only slightly sheer and its intensity builds quickly. Here, I’m wearing two coats with a glossy topcoat. These three beautiful polishes are just a drop in the bucket of what is available for purchase this month.